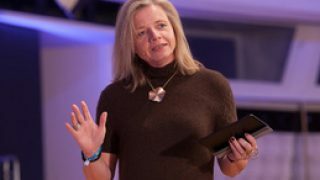 At NEXT13 Louisa Heinrich, founder of Superhuman Limited, looked at how to create real value - to customers and business - by keeping a focus on humans. 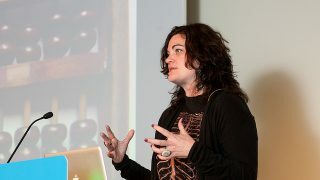 An inspiring talk about the key to commercial success! “While Marketing has always been responsible for knowing the customer, now they are required to understand and respond to customers as individuals.” - Sabine Schilg, Vice President and CMO of the IBM Europe Software Group, presents at NEXT13 a new study about marketing transformation. 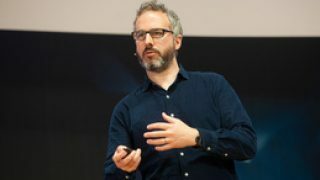 “Technology changes fast, behaviour more slowly, and motivation not at all” - Martin Ott, Managing Director Northern Europe at Facebook, clarified at NEXT13 in which way the rise of new technologies influences our way of living. “How do you conquer the world?" 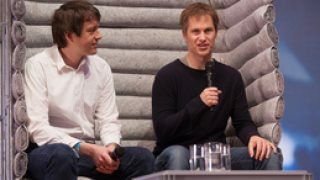 - Paul Jozefak talked with Fabian Siegel (Global Founders Capital) and Kevin Hartz (Eventbrite) about the most exciting areas for investment at the moment. 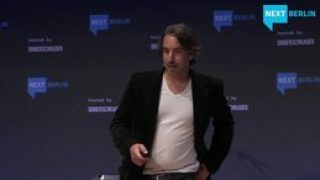 “ People are doing more with less and being paid less to do so.” - Bryce Roberts, Managing Director of O'Reilly AlphaTech Ventures, talked at NEXT13 about revolutionaries and the necessity of a declaration of independents. 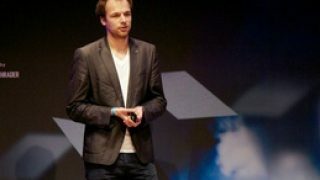 When digital tools have the potential to reshape out world, as Janjaap Ruijssenaars' talk showed, why should be obsesses over websites? As we publish more videos, more people are exposed to the ideas of NEXT13. Here's another roundup of the best or most challenging reactions. 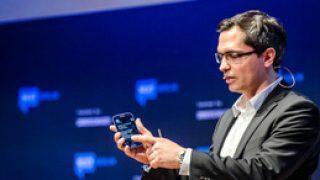 “So what is the future of having relationships with dead objects?” - David Bausola, founder of Philter Phactory talked about the Life after Data and explained the context of storytelling and technology. 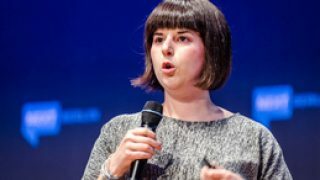 Alexandra Deschamps-Sonsino from Good Night Lamb talked at NEXT13 about the risks and chances in the fields of designing the Internet of Things. 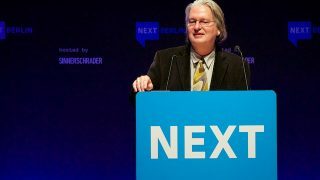 Bruce Sterling's closing keynote was the most challenging of the conference. As the video has spread, people have been quick to pick up on his ideas - and his big warning. 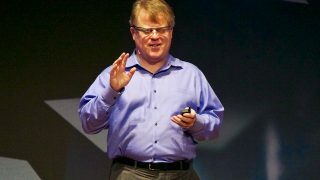 "We need to stop worrying about connectivity, and start worrying about what we do with it." 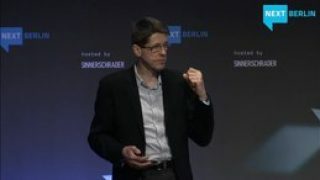 - Watch the inspiring talk from Freelance IOT-Consultant Martin Spindler at NEXT13. 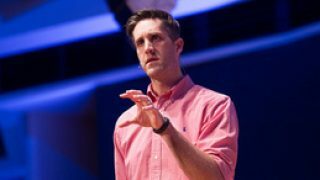 What’s next for start-up pitch winner LineMetrics? 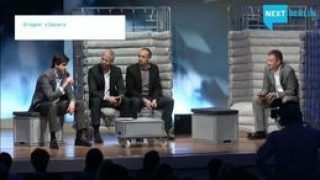 The dragon-slayers Stan Sugarman (G+J), Matthias Schmidt-Pfitzner (Deutsche Telekom AG) and Peter Rampling (Telefónica) discussed how global players can tackle the digital challenges faced by their particular industries. 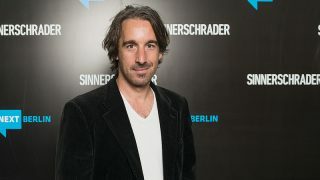 The panel was moderated by Jochen Wegner (ZEIT online). Like other big telecoms businesses Deutsche Telekom is faced with some choices. There are so many potential business areas they could get into – how do they select which ones they get involved with? 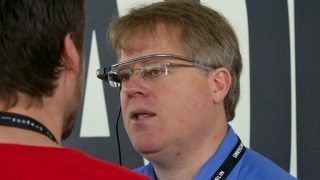 When Robert Scoble showed us his Google Glass, was he showing us more than an interesting new product? 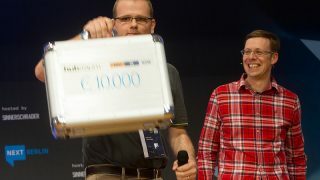 Was he showing us a new, mobile-centric future of computing? 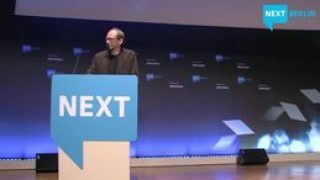 Dutch architect Janjaap Ruijssenaars talks at NEXT13 about inspirational quotes from his dad and the future of architecture and design. 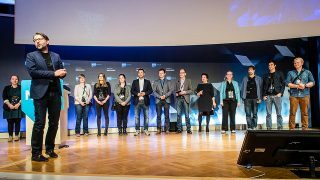 This goes out to all our great speakers, participants, partners and volunteers: THANK YOU! We were overwhelmed by your enthusiasm and the great feedback we received! Want to relive some of the best NEXT13 moments? 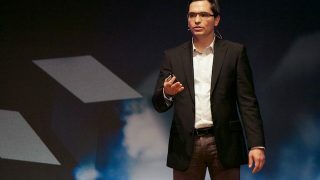 Read more to find videos, pictures and posts. 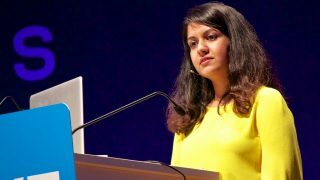 Anab Jain has recreated her NEXT13 talk in blog post form - and other bloggers went away haunted by their own dragons. 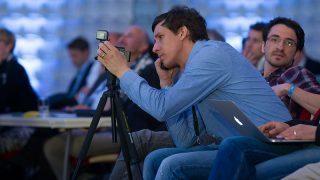 More great blogging about the conference. 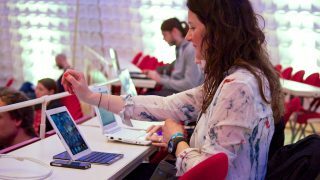 The best links from around the web about this year's NEXT conference in Berlin. 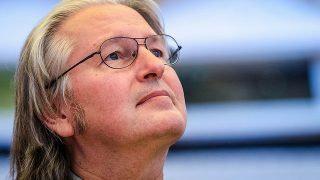 Bruce Sterling has found the biggest dragon of all - and the worldwide startup culture is part of it. What will the judgement of history be on our era?